February 11, 2014 was announced long time ago and chosen as the day, all over the Internet, especially social networks, blogs, will fight against USA security agency, NSA which supposedly oversees the activities of all internet users worldwide. Long time, leading newspapers online and not only, around the world, such as Washington Post, The New York Times, have published articles on investigations made ​​in connection with the supervision of the NSA. In another article published on only-journal.com, we spoke about the sacrifice of the right to privacy by applying a data collection plan “Real Time Regional Gateway” What was intended to be used in the war in Iraq to stop terrorist attacks by which was wanted that all Iraqi messages, phone calls or e-mails pass through agency computers. 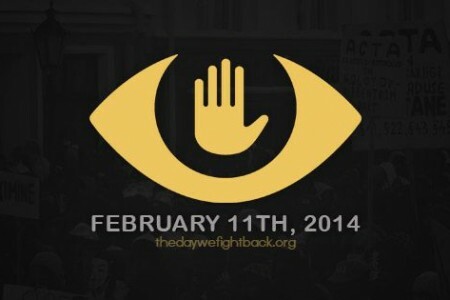 „The day we fight back against mass surveillance”. “In January 2012 we defeated SOPA and PIPA censorship through the largest online protest in history. To celebrate that victory and to commemorate one of the leaders of that movement, Aaron Swartz, planning a day of protest against mass surveillance “is written on the website https://thedaywefightback.org. Owners of websites are invited to display a banner that make their intentions known, netizens are invited to change their profile picture and sign a petition. So far, gathered over 140,000 signatures. In addition to online protest will be held street demonstrations or gatherings around the world. List of events dedicated to this action can be found here. It is up to you if you take part to the action or not!